The Washington Student Math Association (WSMA) hosted their annual Math Bowl event on April 30th at Newport High School. 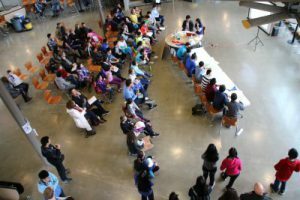 Every year, the organization plans and organizes the math competition for 5th-8th graders in the Puget Sound area. Teams of three or four register together and compete within their category (5th-6th or 7th-8th). Math Bowl is composed of three different kinds of tests. The first test is a Creativity test where the teams are given 40 minutes to complete 5 questions. This test encourages teams to work together to solve unique problems by applying their math skills and knowledge in new ways. The Time Attack test follows the Creativity test. Time Attack is composed of 24 questions and teams are given 36 minutes to complete the test. In addition to the points teams earn from answering the questions correctly, bonus points are offered for turning the test in early. 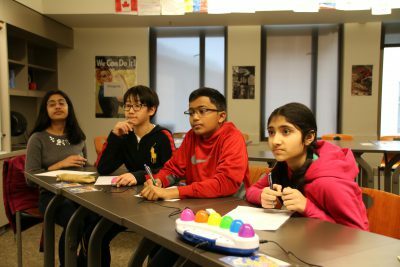 If a team turns the test in within the first 6 minutes, they would earn 8 bonus points. For every block of 6 minutes that passes, the amount of bonus points the teams earn decreases by one. The last event is the tournament rounds. Teams with similar scores compete against each other in a Swiss-style tournament bracket. Questions are read from slideshows and the first team to buzz in and answer the question correctly wins the point. New brackets are made after each round so teams can continue to advance. Awards are given to the highest scoring teams in each of the divisions. Overall, Math Bowl is a great opportunity to develop teamwork and communication skills while enhancing mathematical knowledge. 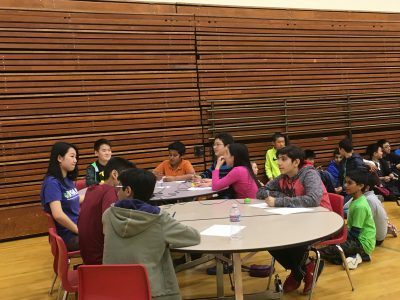 Volunteer opportunities are also available for students in high school that still wish to get involved in the math community. 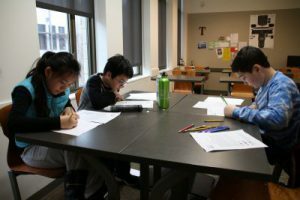 For more information on Math Bowl and other math-related events, visit the WSMA webpage. Make sure you keep your calendars open for the event next year!